Yes! It’s been a week since my last post and what an exciting time it has been. 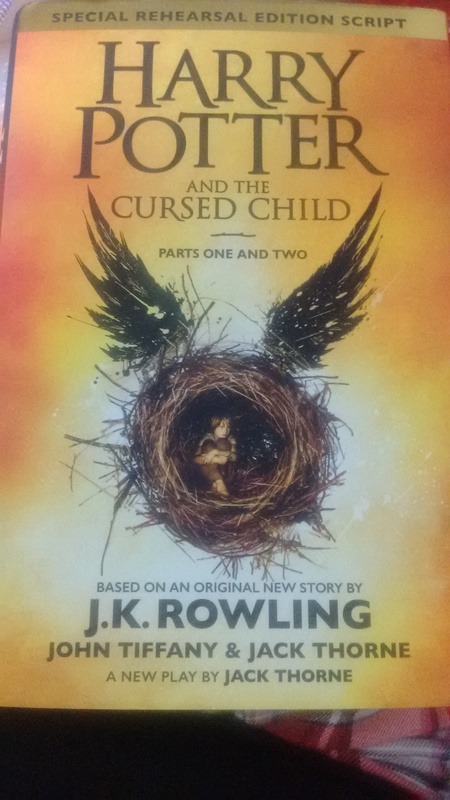 It began with Ashu coming over to visit me and culminated with me reading The Cursed Child. It cannot get better than this. Period. For a while when you can escape from trivial problems and have hope that everything is okay, that’s when you’re at your mental best. I spend the entire day, part of it actually, reading Harry Potter and it felt like coming home, that’s how much you belong here. And Harry! I absolutely love the person you are. And Daniel Radcliffe too. I’m personally indebted to the casting director of this franchise. While the movies may have not done justice to the books, the faces couldn’t have been better. I understand that this play had a lot of controversy going because of the actor who played Granger, it would be a brilliant surprise if the movie cast had reprieved their roles for the play. That’s me being too greedy so I can live with that. The story works out way more beautifully in my head any way. HE Rowling, you… (adjectives fail me here). It’s a pleasure to read you because you instill hope in us. You encourage us to hang in there and I appreciate that resolve when it comes from us humans.